Munday Hardwoods installation professionals are thoroughly trained in the proper way to make new floor installations fast and efficient with any flooring product. Contact us for a free in-home estimate and quote for professional installation. 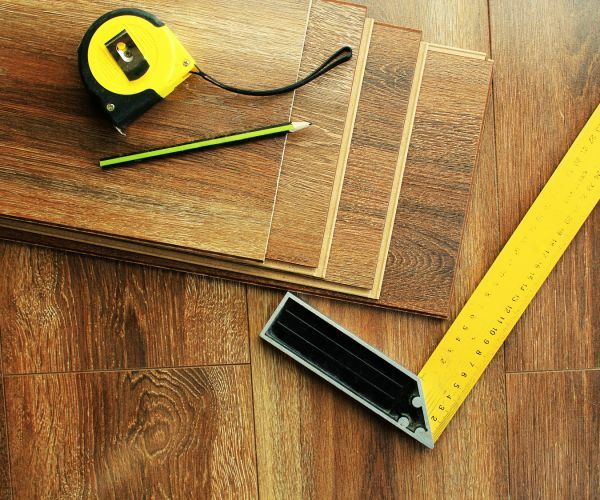 Munday Hardwoods knows that having quality installation is important when you purchase costly new flooring materials. We bring the highest quality flooring installation service to the homeowners and businesses in Lenoir, Hickory, Morganton, Hudson, Granite Falls, Taylorsville, Boone, Blowing Rock, Wilkesboro and other North Carolina areas. In addition, we also offer very reasonable prices on the installation of any type of flooring. We supply and provide professional-quality installation for hardwood, ceramic tile, porcelain tile, carpet, natural stone, and other popular floor coverings. Everyone on our installation team is licensed, insured and highly experienced. You can count on us to execute your project requirements quickly and affordably too. Munday Hardwoods also offers shorter waiting times for both appointments and finished projects so that our customers can get back to their lives as soon as possible. Our installers who work on your flooring project are highly trained to work quickly and efficiently. Each installer has years of on-site experience with all types of flooring products, including hardwood, reclaimed lumber, tiles, laminate, carpet and more. This guarantees great project results without any lengthened deadlines or unnecessary stress. Detailed consultations make it simple to plan your project step-by-step. Our consultants will help you with many things. For example, they will gladly explain how any part of the installation process is done. They will also give you time-saving tips on how to get ready for your installation and how to control budget expenditures wisely. Our consultants will answer any questions that might arise during your project. We make sure that each of our expert consultants fully understands every aspect of your flooring and the installation process, so that you quickly receive the information you want. New floor installation is usually an exciting project for any homeowner or business owner in North Carolina. Begin planning your next home improvement by calling us at (828) 475-8598, or drop by our showroom in Lenoir, NC to discuss your project needs, including flooring installation. Hardwood flooring should be installed by professionals. It may seem like a good idea to do it yourself, but picture this. For the amount of money, time and energy you spend doing it yourself, you could have the team at Munday Hardwoods do the job for you. No one likes to waste money, but if you spend your precious time installing the floors and they don't come out right, you will have to call someone to fix it -- which can be more expensive than just going to a trusted company in your community. Munday Hardwoods is here to serve the residents in Lenoir, Hickory, Morganton, Hudson, Granite Falls, Taylorsville, Boone, Blowing Rock, Wilkesboro. We cover a large area from our home base in Lenoir, NC. If you see something you like in our online catalog, give us a call at (828) 475-8598 or shoot us an email.